The ONLY iPad app to support all these: Annotation on MS Word! Annotation on PowerPoint! 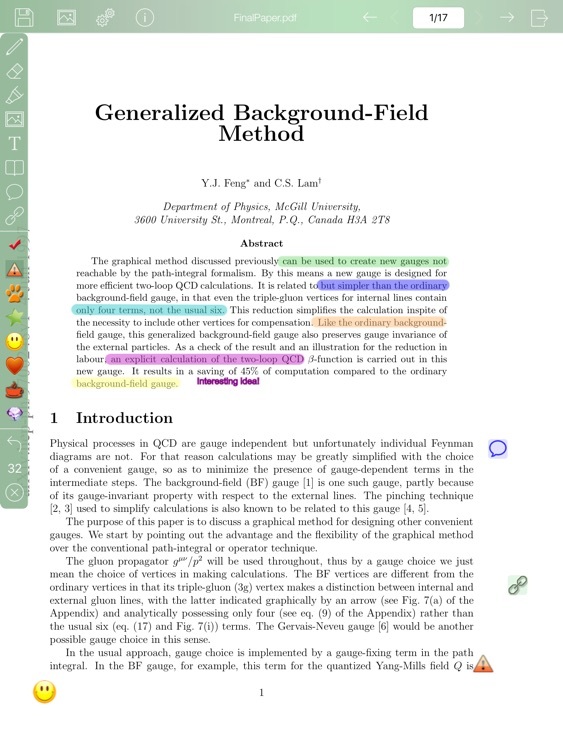 Annotation on PDF! Reached Top 1 in 7 App Stores around the world! 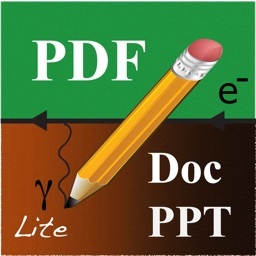 *****The only iPad app to support annotation on PowerPoint documents. Very useful and friendly. For this price, I give 5 stars and will recommand to my friends. ***** User review from appolicious.com. AnnotDoc supports annotation on popular document formats including MS Word, MS PowerPoint, and PDF. It is the only iPad app that supports annotation on all of these document formats, and it outperforms iAnnotate, GoodNotes, and Notability! 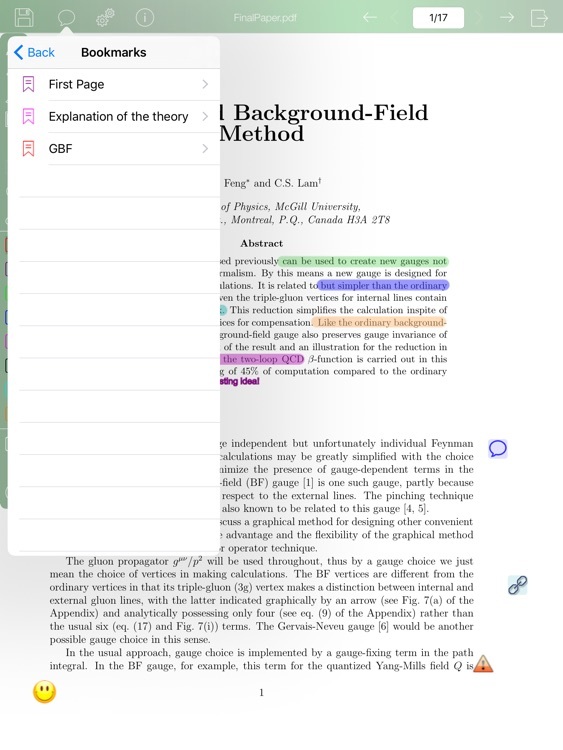 It provides more features than all the other annotation applications, with newly introduced features like bookmark, sticky note, and link. It also provides the best user experience. The newly added submenu helps users easily switch among different annotation tools and change settings. Please check the impressive videos below in the support website. Now you can use your iPad to show a PowerPoint presentation to your customers, and make notes to address customer comments directly on the PowerPoint document. You can also sign a PDF document and email it out. 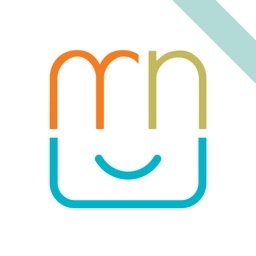 In addition, you can do math and physics assignments, handwriting equations and drawing diagrams, with the help from handy features like zoom-in editor, auto alignment, and built–in wavy/dotted lines. You can take notes directly on the text in class. 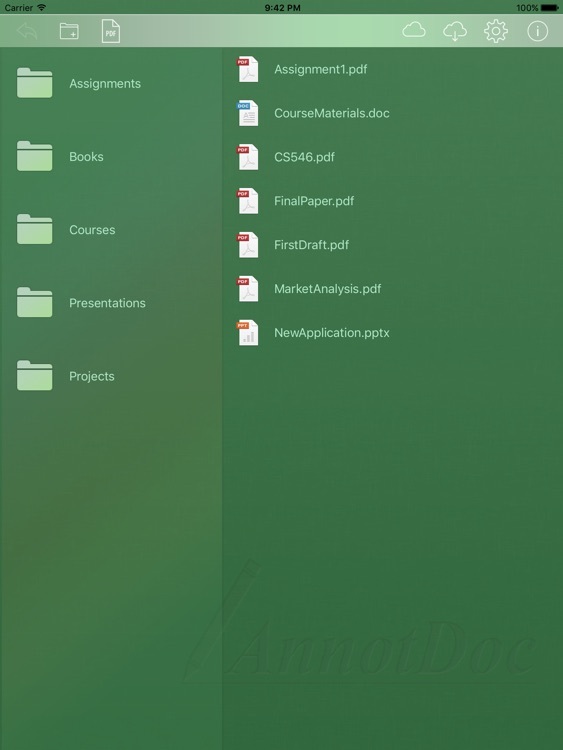 You can even create an empty PDF document and take note. 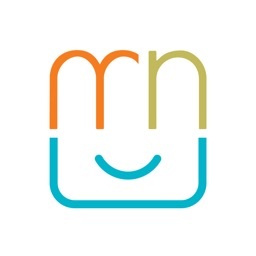 Please check the support website for great user experience from our customers! 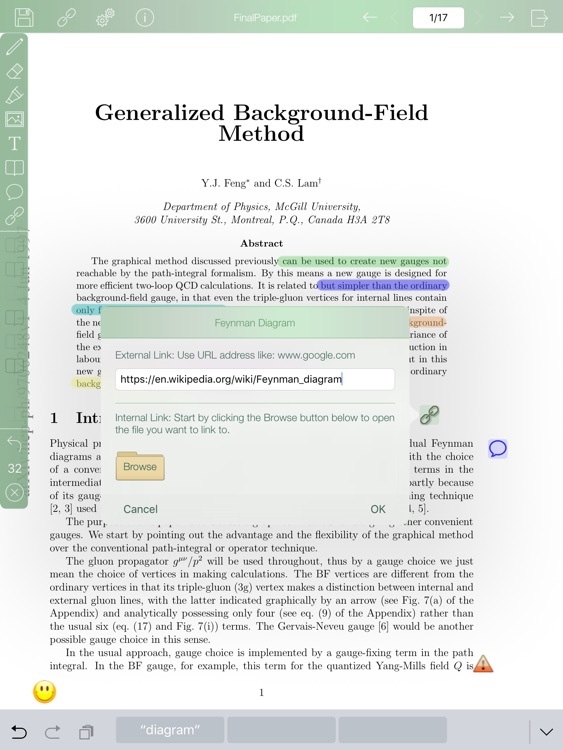 To support large documents, you can add colorful bookmarks to your text book documents. As a salesperson, you can bookmark important technical specs before meeting customers. 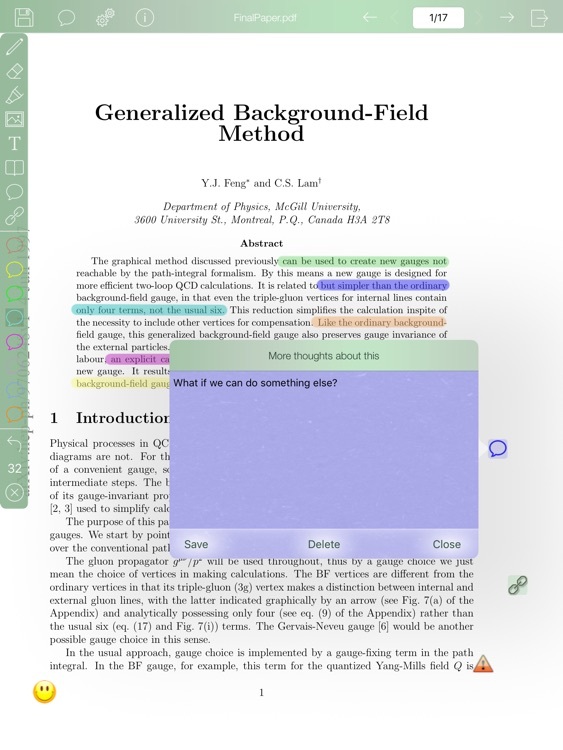 AnnotDoc also offers in-app-purchase for adding links and sticky notes (one in-app-purchase of $0.99 for BOTH powerful features). You can add colorful sticky notes to your document. AnnotDoc shows a table of all the sticky notes you added to a document, so you can easily go to the note you added. 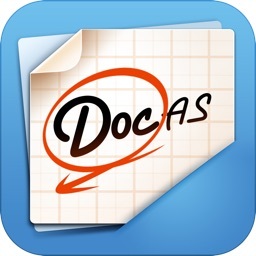 Please check the screenshots for the wonderful features AnnotDoc supports. * Support annotation on MS Word 2003, MS Word 2007 (2010), MS PowerPoint 2003, MS PowerPoint 2007 (2010), and PDF. * Auto-align for hand writing equations. Now you don’t need to use the MS Equation any more for your math assignments. * Build-in wavy line and dotted line for diagram drawing. Specially designed for Feynman diagram drawings. * Type on documents using 19 different fonts, include English, Chinese, and Japanese. 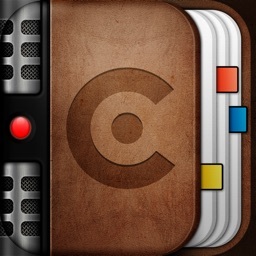 * Icon stamping. Select from 85 high quality build-in icons. * Export MS Office documents with annotations to PDF.